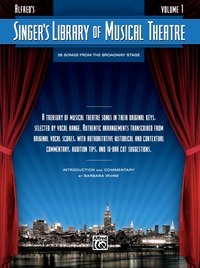 At last!��Broadway songbooks that contain useful information for the musical theatre student, aspiring musical theatre performer, and musical theatre professional alike! Each book includes audition tips, vocal ranges, plot synopses and other show information, song contexts, names of the performers who originated the roles, song types (i. e. ballad, uptempo, character song, etc. ), and 16-bar cut suggestions for auditions. The songs are taken from the original show scores and are in the show keys. 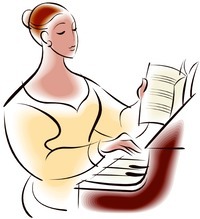 Accompaniment CD's recorded by Dennis Buck and Barbara Irvine can be purchased in a package with the books or separately. �for Soprano, Mezzo Soprano/Alto, Tenor, and Baritone/Bass.